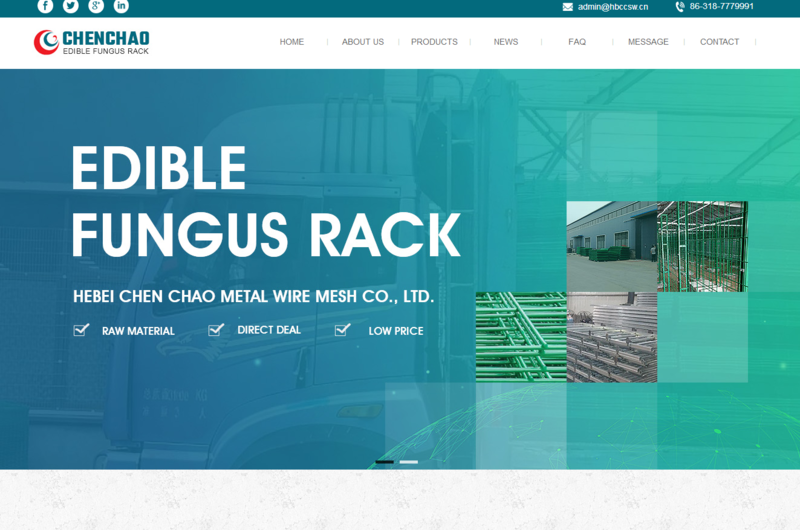 Hebei Chen Chao Metal Wire Mesh Co., LTD is the professional manufacturer of metal wire screen which integrates production, deep processing and marketing into one. With the aid of advantageous environment, support and help of mushroom colleagues as well as strenuous efforts of all employees, by now, it has mastered solid technical strength, accumulated rich experience and acquired complete testing facility. Armed with refined technology, advanced production craft and complete testing organization, Hebei Chen Chao Metal Wire Mesh Co., LTD engages in manufacturer of Mushroom Mesh, an ideal mushroom growing bed which effectively lifts the space utilization ratio. And customization could be actualized as well. Company’s Aim: Superior Quality, Timely Delivery, Reasonable Price and Thoughtful Service.